This Sunday, March 29, at 2 p.m., I'm giving my "History of Bread in Jewish Life - Meaning and Sustenance, Challah and Beyond" again. The talk is open to the public, so if you'd like to come you are very welcome. The location is at Temple Beth Abraham, 327 MacArthur Blvd, Oakland, CA. Want more info or would like this to schedule me for a presentation at your meeting or event? You can email me at fjkblog1(AT)sbcglobal(DOT)net. Below is information and resources from the last time I gave the presentation. I've updated the links and include some new information, too. Tonight I am giving a talk (complete with 30 slides) on the history, meaning, rituals and traditions of bread in Jewish life. I may decide to recap some that material here, but I thought I wouldn't wait to post my recipe "handouts" here on Blog Appetit. This way I save some trees by not copying the recipes and other info on all that paper for those who attend the presentation and I can share these wonderful web resources with a wider audience. The first link is to an article by cookbook author Gil Marks. He explores the role of baking in ancient Egypt within the context of Joseph's dream. He then gives some wonderful recipes for Sephardic, Near Eastern and East European breads. For his recipes and explanations, please click here. 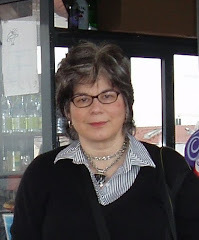 The second link is to an article about bread baking maven Margaret Glezer. Glezer wrote A Blessing of Bread, a remarkable cookbook surveying the meaning and history of Jewish bread making. This article includes an interview with Glezer and three challah (or hallah as it is sometimes written) recipes. I'd also encourage you to check out the blog Kyle's Kitchen. Kyle is a superb bread baker and has baked many of the breads in the Glezer book and posted great photos of the results. The site also has a number of links to additional baking info. 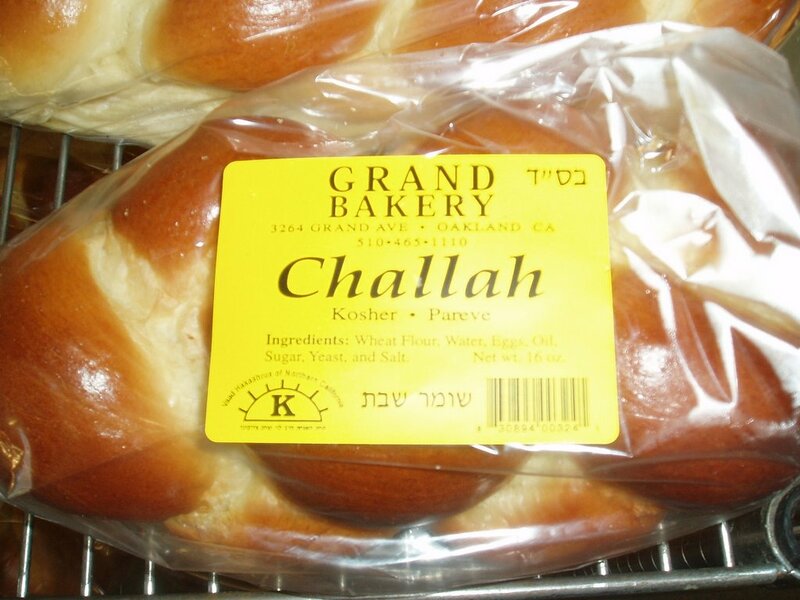 Tips for challah braiding, including a Star of David-shaped loaf, can be found here. Much ado about bagels here. Plus I recommend Maria Balinska's book: The Bagel: The Surprising History of a Modest Bread. I didn't cover bialies in my presentation, but I would also recommend Mimi Sheraton's book on the topic. This was a truly informative post. I wish I could attend the event about the history of bread in Jewish, Christian and Muslim life cycles. I also really enjoy your blog about the trials and tribulations of being a food writer. When reading some of your goals and plans, I realized that I am not alone in the struggle of every day writing. Thank you again for your informative writing. Not long ago you posted on my blog, My Halal Kitchen, and I wanted to thank you for that. The photo of the olive on the tree that you liked, is credited to photographer Stephanie Berghaeuser, who fortunately makes her work publicly available and royalty free. My blog site has changed to a new domain address: http://www.myhalalkitchen.com, if you ever want to come back for a visit.